The first game in the series, Andean Abyss, designed by Volko Ruhnke himself, was published back in 2012 and paved the way for a lot of amazing COIN games based on different conflicts around the world. Andean Abyss gives players a closer look at the conflicts that occurred in Columbia including the Colombian Conflict and The War on Drugs which happened in the 1990’s and 2000’s, played out by four factions: the Government, the Cartels, the Marxists, and the Paramilitary Forces. Andean Abyss includes political conflict and economic issues as well as military warfare. 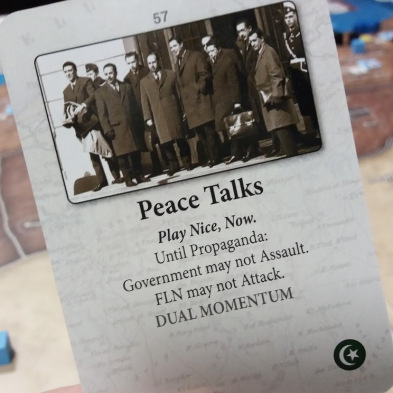 During the game, each of the four factions deploys distinct capabilities and tactics to influence Colombian affairs and achieve contrasting goals throughout the game, combined with area control, dice rolling and card driven game play.